Punk Rock Parents: Ouie & Louie Extravaganza Day 1- Disneyland! 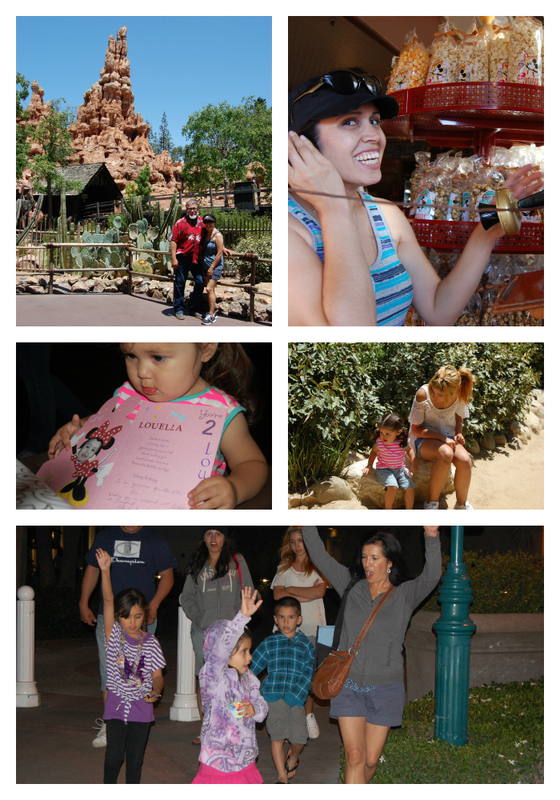 Ouie & Louie Extravaganza Day 1- Disneyland! Since Ouie (my sister) and Louie's birthday's are just 6 days apart we decided to celebrate by taking a 2 day mini family vacation to Disneyland and California Adventure. We all met at our hotel at 8am. 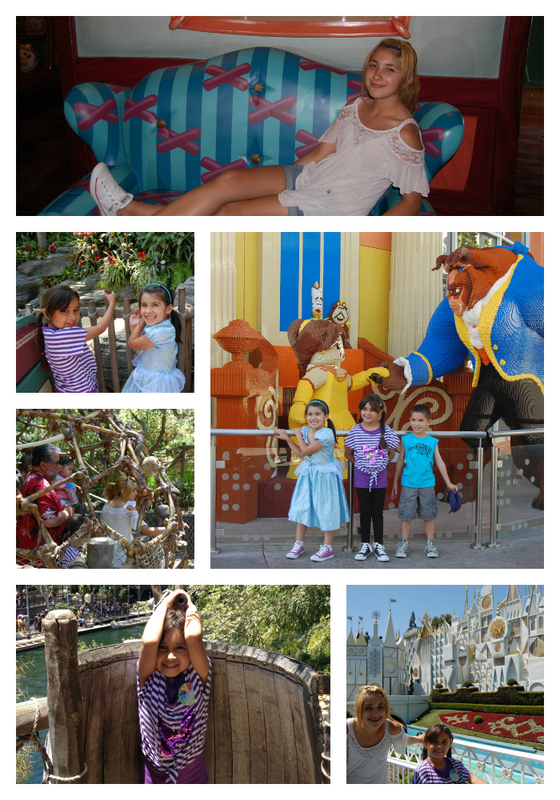 Our hotel was across the street from the parks so we walked over and had an amazing day at Disneyland. We started the day at my Pop's favorite, The Tiki Room. Then we made our way thorugh Adventure and Frontier land with the Jungle Cruise, Indiana Jones, The Tarzan Tree House, Pirates, The Haunted Mansion, Tom Sawyer Island (a first for me! ), Winnie the Pooh, and Big Thunder Mountain. After a break for lunch we hit up Small World, Toon Town and Fantasyland. 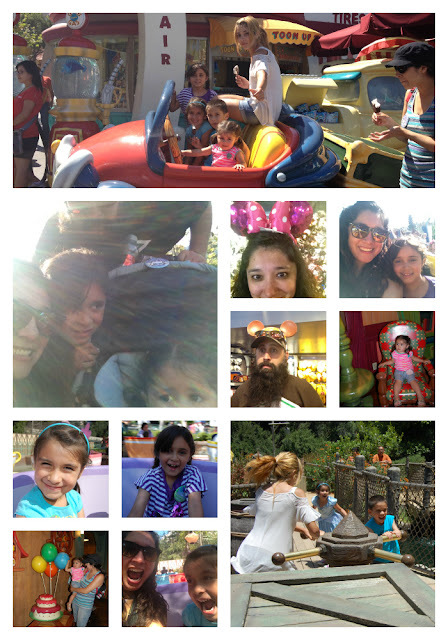 I was the adult who took one for the team and got on the teacups with the kids. We did Dumbo and made our way to Tomorrowland for some Buzz Lightyear Rides and souvenir shopping. We left the park at about 6:30 to have a birthday dinner at Rain-forest cafe for Ouie and Louie. After dinner we headed back to the hotel for a swim in the pool. 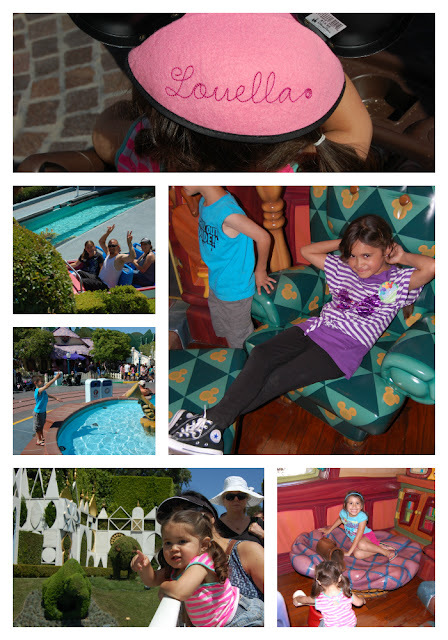 Later I would ask each of the kids their favorite part of the trip and Lili, Felix and The Phi would all say SWIMMING! That's just the thing with my family. It really doesn't matter what we are doing as long as we are together we are happy. 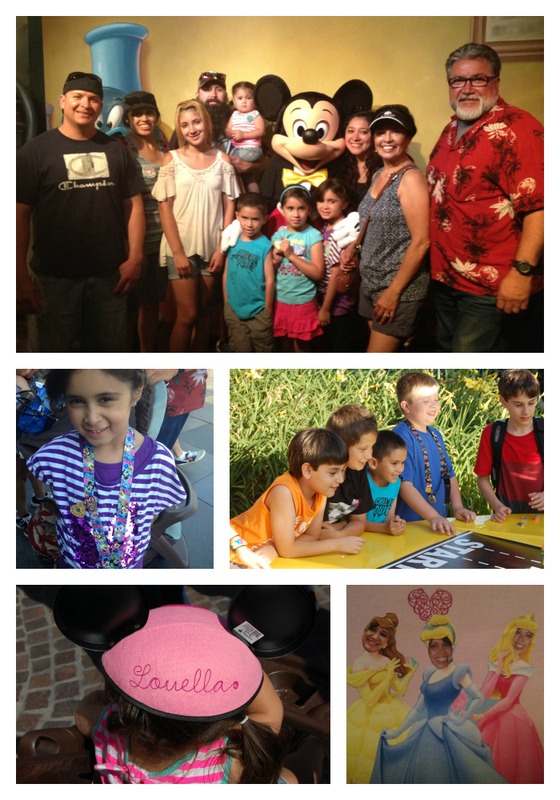 Being at Disneyland with everyone is what memories are made of. I kept thinking that day "the kids will always remember today" and later I realized that I will never forget it either.